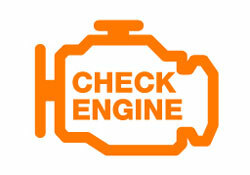 Before you take your car to a mechanic, it might be a good idea to try to diagnose the problem yourself. When your check engine light comes on or the vehicle starts making warning buzzes or other sounds, you can use an OBD tool to find what’s going on. This could potentially save you a lot of money. CLICK HERE to see our OBD2 scanner recommendations. OBD stands for On-Board Diagnostics, and the 2 (or “II”) indicates it is a second-generation tool. Since 1996, cars with on-board computers have logged information about vehicle performance and problems, but you had to have an OBD to find out what the problem was. Since the tool was originally a specialized device, mechanics had the monopoly on diagnostics and you had to pay an automotive technician just to find out what was wrong. Today, the times have changed and OBDII tools are readily available, so you will know what is wrong before you take your car in service, not to mention being able to guard against being told you need unnecessary repairs. With your vehicle turned off, locate the data link connector which is typically under or to the left of the steering wheel. This outlet allows you to easily access the diagnostic computer of your vehicle for troubleshooting and updates. Carefully connect the cable of your OBD-II scanner to the data link connector. The end of the cable will have a 16-pin plug that should fit perfectly into the outlet of the car. These pins are very delicate so do not push too hard or you’ll risk bending the pins or cracking the plastic surrounding the plug. Turn the key in the ignition to the “On” position. Some brands of car code readers will actually need you to start the car and have it running so it’s a good idea to always have the manual on hand. Most scanner tools will automatically turn on when the ignition position is set to “On” but others may need you to manually push a power button. Once the scanner is ready, you’ll need to initiate a “scan” or “read” of the vehicle’s diagnostic system. This part will vary greatly by model as some basic models have an obvious button, while others need you to go through a series of menus. If you’re not sure, follow the detailed instructions in the manual. 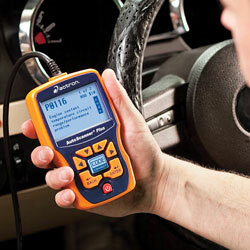 Once the auto code reader does its thing, it will provide you a diagnostic trouble code (or codes). You will need to either write these down, connect to a laptop using a USB cable, or even wirelessly look them up if you have a car code reader with Bluetooth capabilities. Using these DTC codes, look them up in the manual to see what each means. Most manuals will at least show some of the most common generic codes which are same across all vehicle models. Some car manufacturers will also have a supplemental set of codes just for that particular manufacturer. These can easily be found online or in your auto repair manual. Once you recorded the error codes, turn the car’s ignition to the “Off” position and carefully unplug the diagnostic code reader. Professional mechanics caution against accepting a vehicle trouble code in place of an actual diagnosis. When you use an OBD2 device, it will report the stored error codes, listing them as either P0 or P1. P0 codes tend to be related to vehicle maintenance like low radiator fluids, while P1 codes indicate more technical repairs. Some of these codes are vehicle specific, and may even be different from one model year to another, but the list of codes is available online, and you only need to make sure to get the list that matches your specific vehicle. Most people are able to perform a simple oil change or flush out their radiator, but it requires more in-depth knowledge to perform other repairs. You can use an OBDII device to identify a problem, but unless you have the proper tools and training, it may still be a better idea to have the work done by a professional. Keep in mind, for example, that if you attempt a more complicated job such as replacing a timing belt yourself, your car obviously can’t be driven again until the job is done, so starting a job you are not prepared for or qualified to finish could end up costing you even more once you factor in towing fees and other costs. There is a world of difference between an OBD and an OBD II device. The earlier version of these diagnostic tools was primarily used for monitoring emissions and other minor problems with a vehicle. Even though OBD II has been available for nearly 2 decades, you may still find companies which try to pass of the older style, especially at discount auto parts locations or shady online sales sites. When you’re ready to purchase an OBD II device, shop carefully and make certain you are getting one that is compatible with your car and matches the OBD II specifications. As far as deciphering the codes, you can download that information from a secondary site, but it is vital to be able to connect the tool in the manner it was designed to be hooked up. Make no mistake about it, the savings in diagnostics costs alone will quickly pay for the investment in a good quality OBD2 device. And if you have the automotive tools and skills to do minor repairs in your garage, the savings will be huge in a very short time. There will always be situations that require the services of a professional mechanic, but having an OBD II tool on hand will allow you to know when those services are needed and when you have what it takes to do the job yourself.